And after a break from writing for a couple of weeks to spend time with family and friends, I’m back and excited to be writing again especially when its about my trip to Denmark. 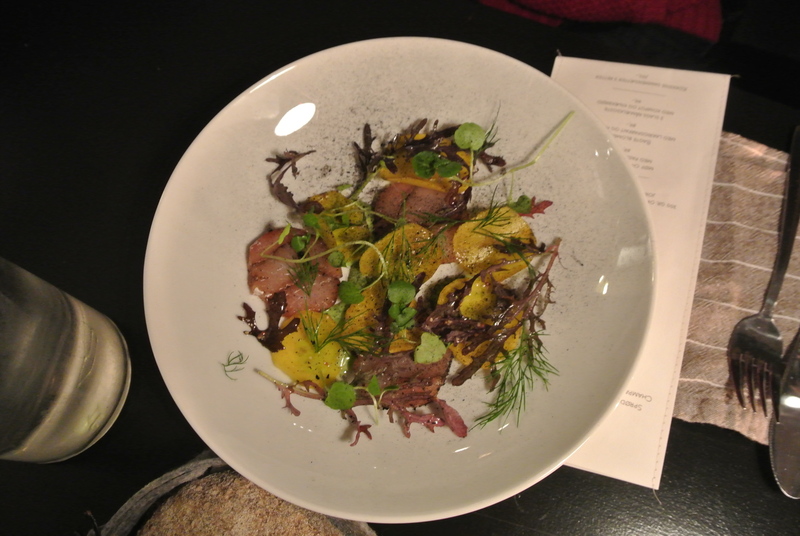 On our first night in Aarhus, we asked our concierge (we were staying at the Radisson Blu) for some dinner recommendations that would be serving Danish cuisine. 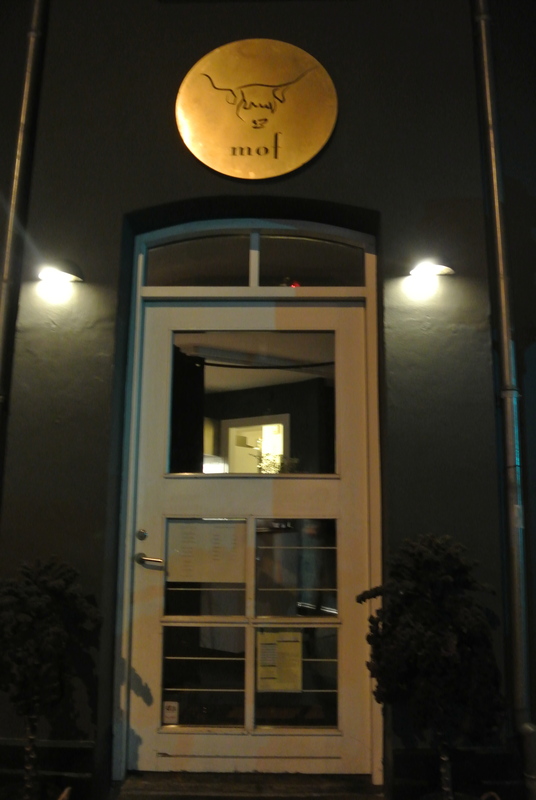 He mentioned a recently opened restaurant called Mof so we decided to hit it up and so happy we did. 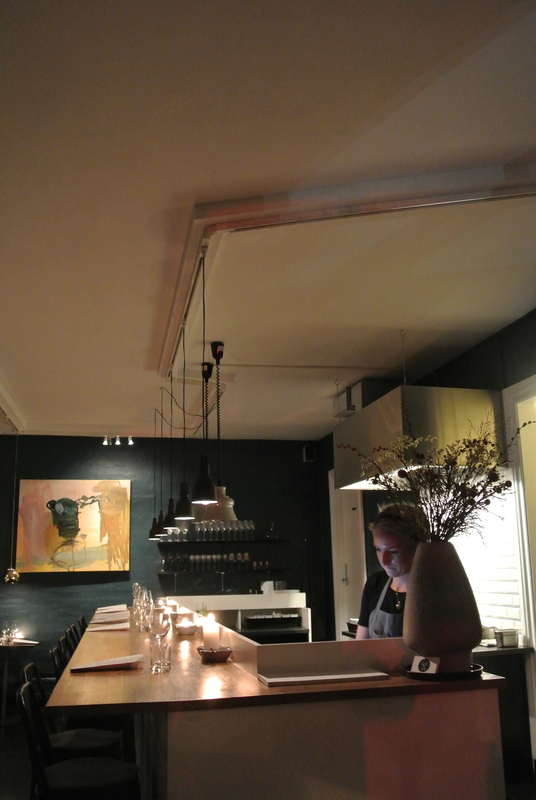 It was a quaint little place with a maximum of 10 tables, owned by a couple – the wife was our host for the night. 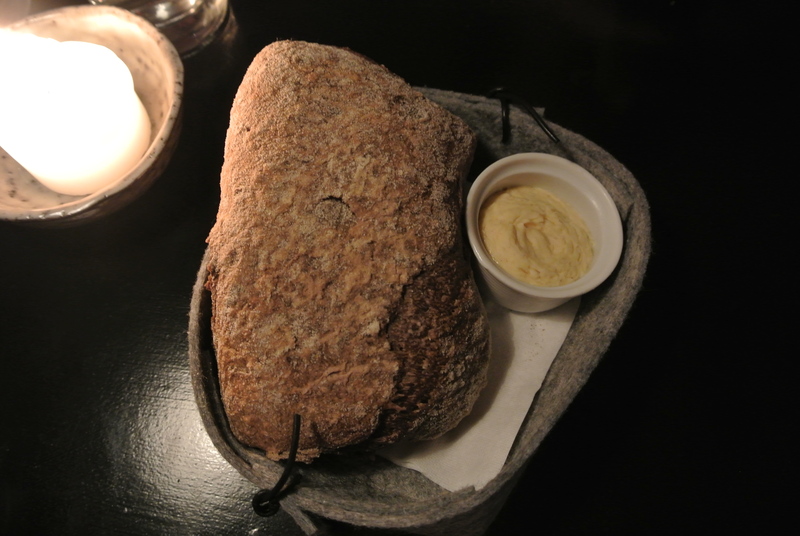 The dinner started with a heavily grainy loaf of bread. The menu changes daily and tonight there were only three of each appetizer, main and dessert options. The appetizers looked so good that I asked for the veal tartare as my main. I normally don’t go for tartare (something about the texture) but it was recommended by the server and was delicious and salty. Tasted great with the lightly dressed frisee. But the best part of the meal was the dessert. My mom used to bake apples for dessert when I was a kid and this dessert totally brought me back to those memories. 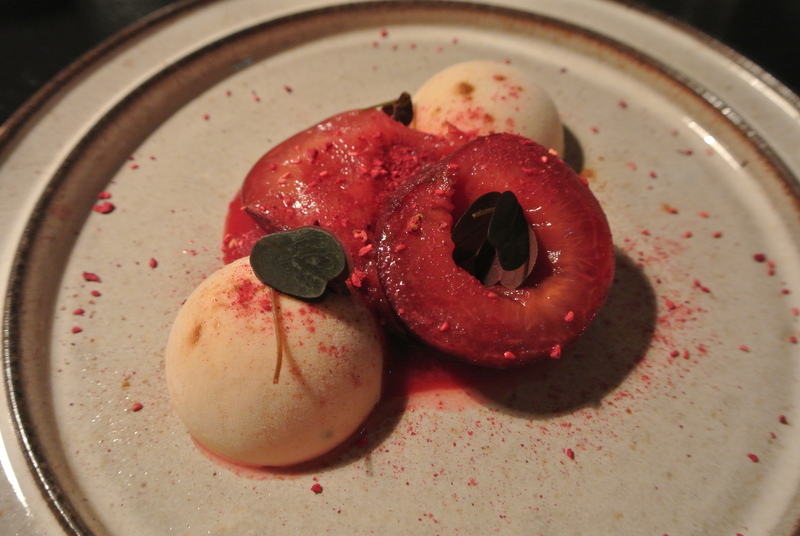 The baked plums were soft but still held its form (not mushy) and the licorice ice cream was devine! I hate licorice (well, black licorice candy) and this did not taste like that at all, it was subtle in flavour and surprisingly not too sweet. Definitely the highlight of the meal! Grainy loaf of bread to start. My appetizer to start – dried ham. 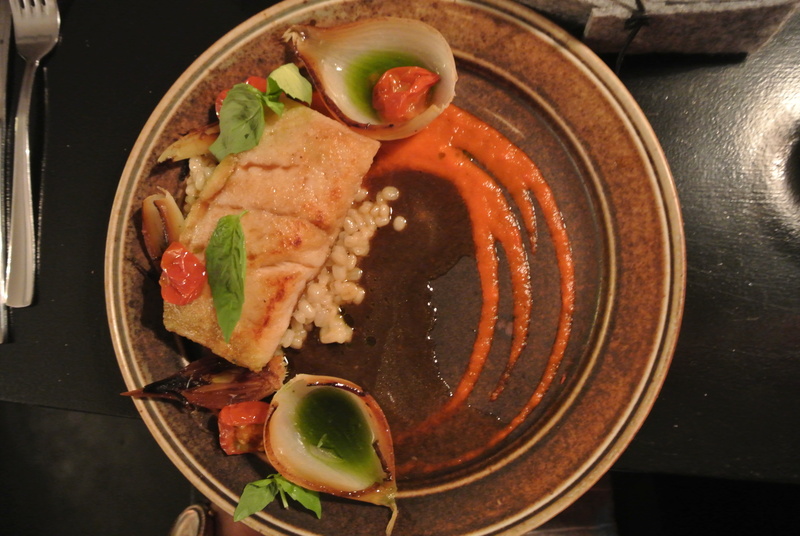 Fried hake with barley, bell peppers and tomatoes. 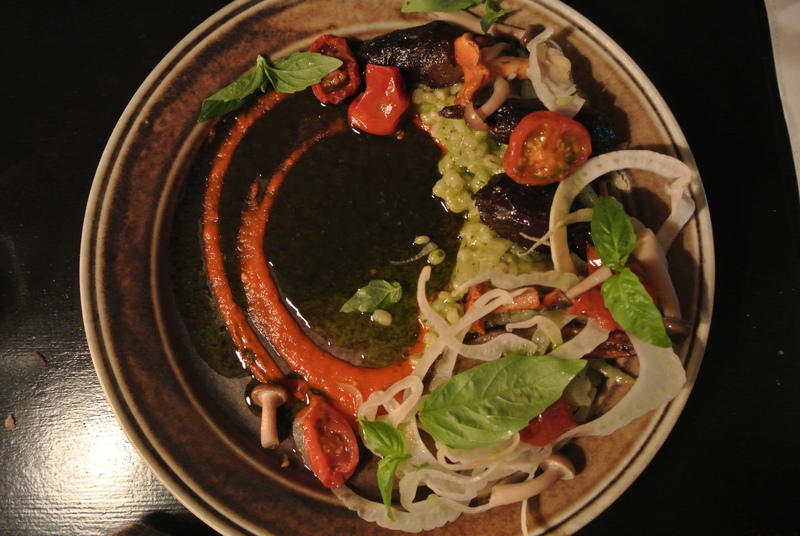 The custom vegetarian dish – a barley risotto. 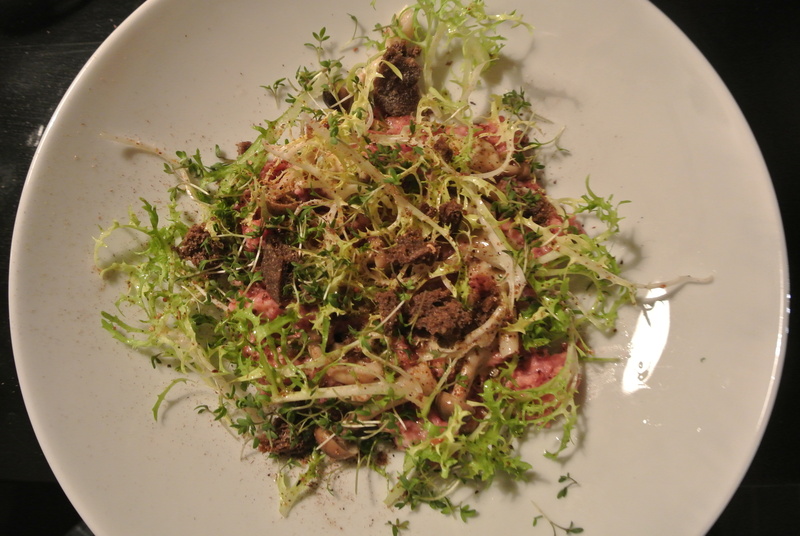 My main dish – veal tartare. 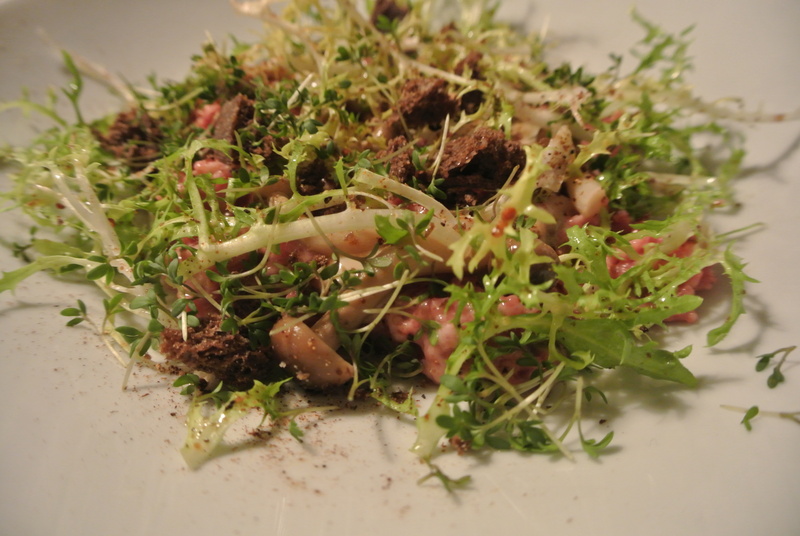 Veal tartar with pickled mushrooms and lots of frisee. Baked plums with licorice ice cream and raspberries.